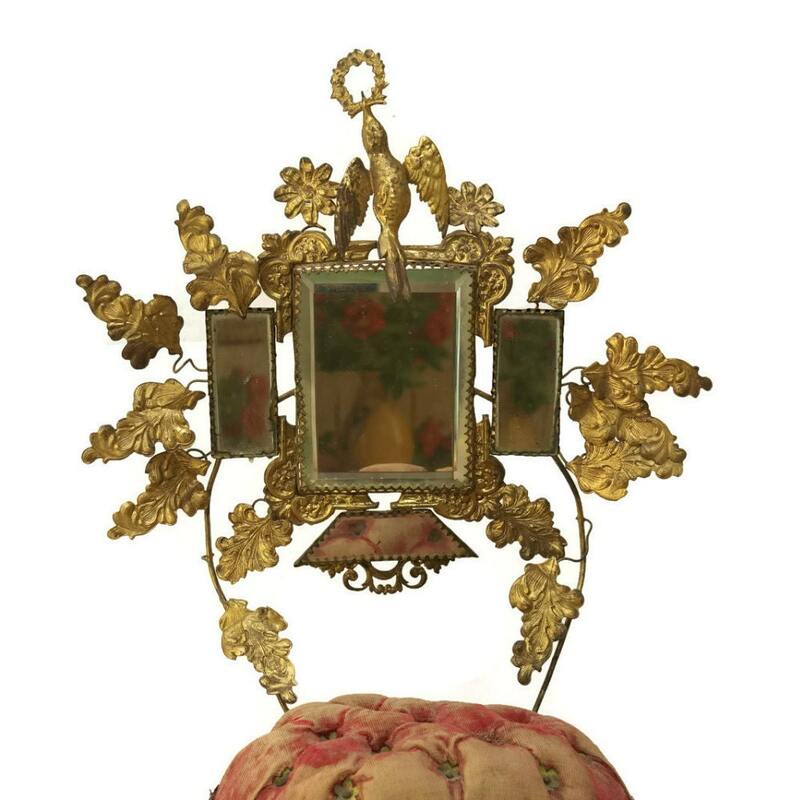 A magnificent antique French wedding cushion globe dating to the 19th Century. 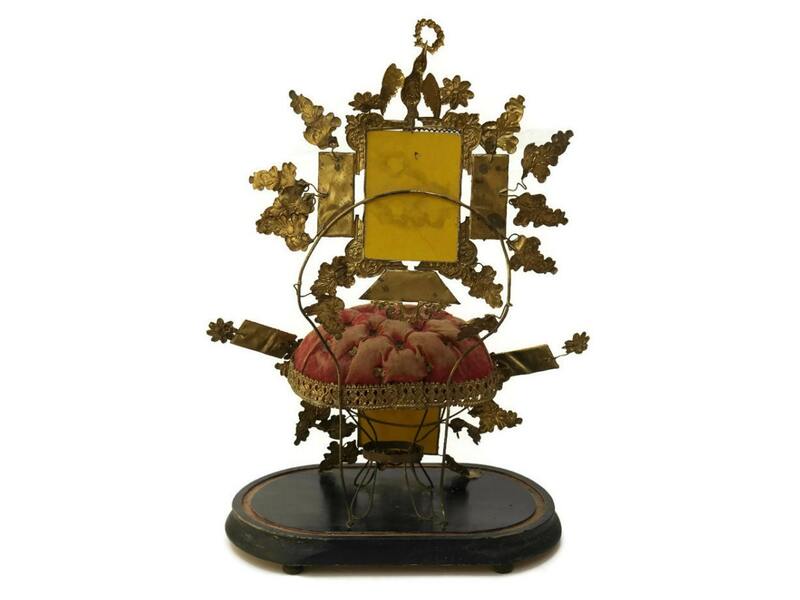 It is very ornate and is a fine example of the French tradition of wedding keepsakes. Globes de Mariée or Marriage Globes were displayed in homes to commemorate the couple's union and aspirations for their married life together. 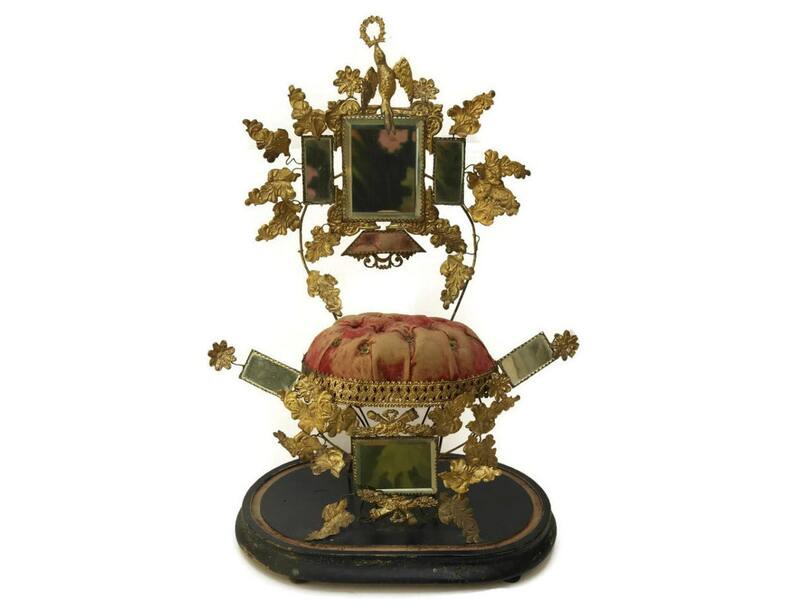 They would be proudly displayed and would hold symbolic keepsakes including the bride's wedding crown which would rest on the throne's velvet cushion. 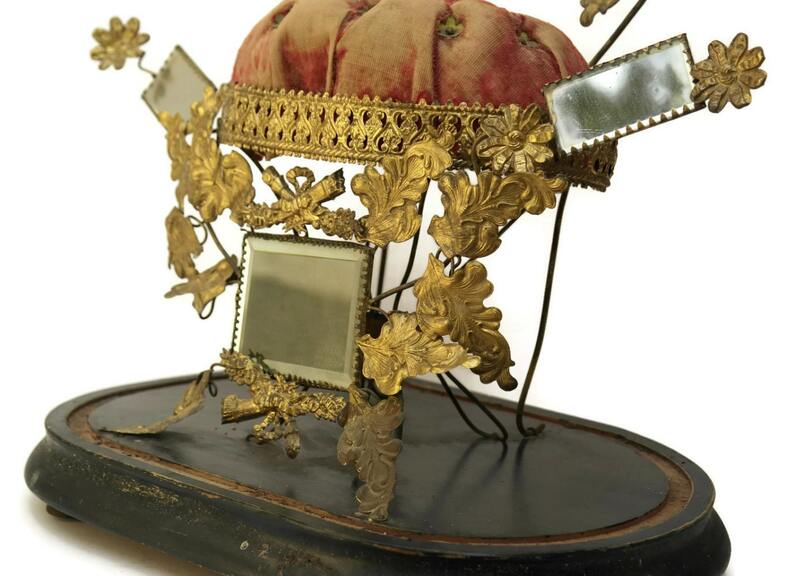 Originally, there would have have been a glass globe to protect these important souvenirs. The piece has been decorated with a multitude of bevel cut mirrors and gilt metal ornamentation all of which have symbolic meanings. For example, the diamond shaped mirrors would indicate how many children the couple hoped to have and the dove symbolises peace in the home. (60 cm x 32 cm). The Globe de Mariée is in good antique condition with age-appropriate wear. 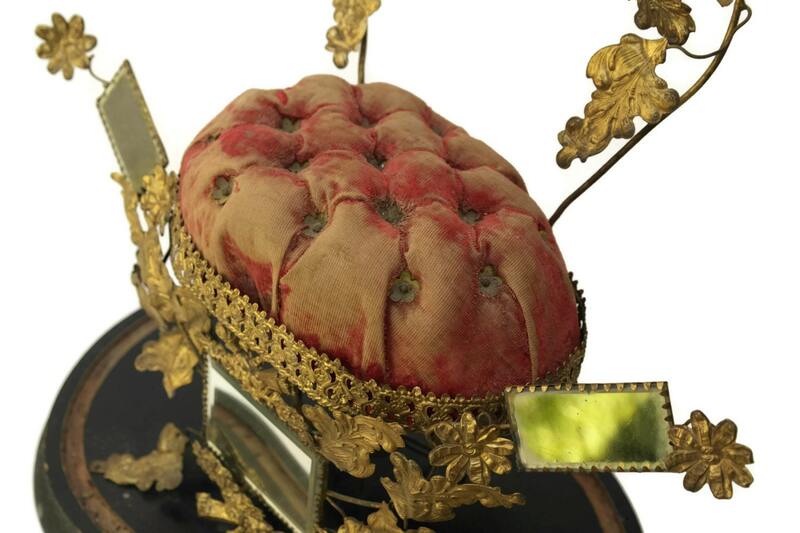 There is patina to the metal decorations and the velvet cushion is very worn. The glass mirrors are intact and have no cracks or chips. As the piece has been made from flexible metal it may be necessary to gently re-shape the throne when you unpack it from the shipping box.